Home » Blog » Blog » We Can Help Make Sure Your Teeth Don’t Look Like IT This Halloween! Your Guide to Whitening Your Smile at Home!Give Your Smile the Makeover of a Lifetime in a Single Appointment! Missing, chipped, or decayed teeth can make you feel embarrassed to show off your smile and can make it difficult to enjoy eating food or drinking. If you’ve been looking for a way to restore your beautiful smile before the holiday season, our office is the right place for you. 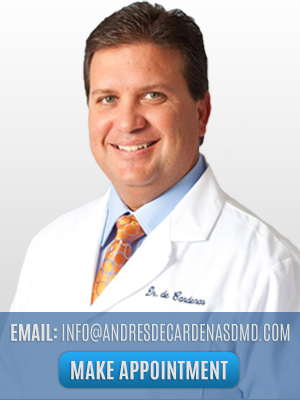 With over 15 years of experience, Dr. de Cardenas is recognized as one of the best dentists in the South Florida area. If you’ve had bad experiences at the dentist’s office in the past, one visit to our office will make you look forward to coming back for your next appointment. We believe the most important person in the room is our patient, which is why we’ll make you feel comfortable throughout your visit. Our team will be happy to walk you through the process of a Full Mouth Reconstruction and answer any questions you have. A Full Mouth Reconstruction will restore the beauty and function of all the teeth in your upper and lower jaw. This treatment is done by placing dental crowns over the portions of your teeth which need to be repaired. Dental crowns look completely natural and provide your teeth with strength and function. During your first visit, Dr. de Cardenas will perform a complete examination of your mouth by using x-rays to see the condition of your teeth. 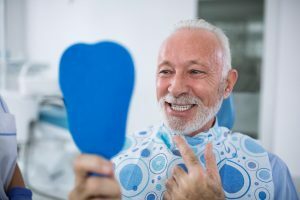 After seeing the results, he will create a step-by-step treatment plan for you and guide you through the entire process because every Full Mouth Reconstruction treatment is unique for the individual. When your treatment is complete you’ll have a beautiful smile you won’t help but show off! It will be easier to chew, and you’ll feel less pain in your mouth and the surrounding areas. Even if you’re unsure if you need a Full Mouth Reconstruction, our team can provide you with the best treatment for your situation. At the office of Dr. Andres de Cardenas, you won’t feel like just another patient. Whether you need a Full Mouth Reconstruction or a routine dental cleaning, our staff will treat you just like family. If you haven’t been to the dentist in years, you’ll never want to miss your next appointment after a visit to our office. With the holiday season coming right around the corner, there’s no better time to bring back your beautiful smile! If you’re not looking forward to gathering with family and friends out of fear or embarrassment because of your teeth, don’t wait any longer. Our team will be happy to consult with you and make your smile brighter and healthier than it’s ever been. See which treatment option will be best for you by calling us today at 305-251-3334 or click here to schedule an appointment today!